On our way home from Canada’s “Deep South” (the north shore of Lake Erie – see GeoPhotographica for details of great nature spots), we passed through Paris just at the right time for ice cream or a bakery. Coasting downhill to where the Nith River converges with the Grand, we scanned Grand River Street for either. 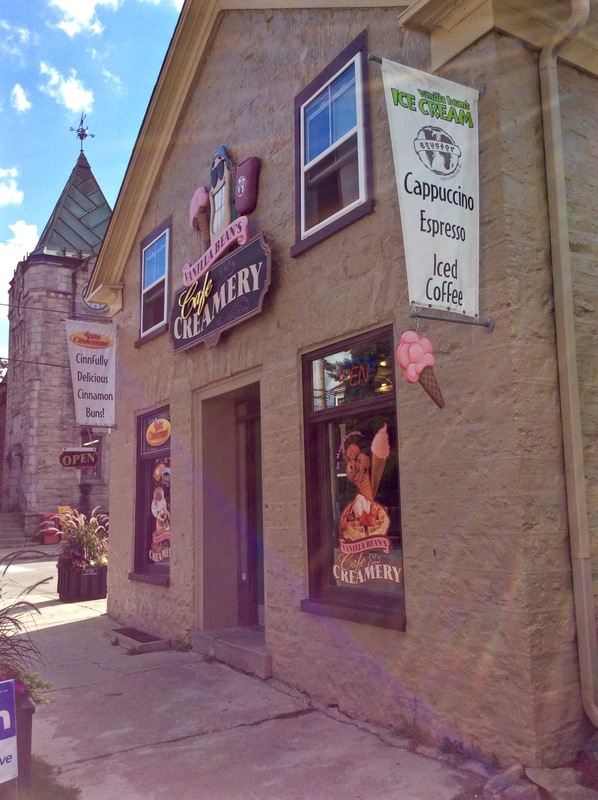 “There’s a bakery”, I shout out just before Laurie exclaims, “Ice cream – and it’s Kawartha Dairy” (her favourite). 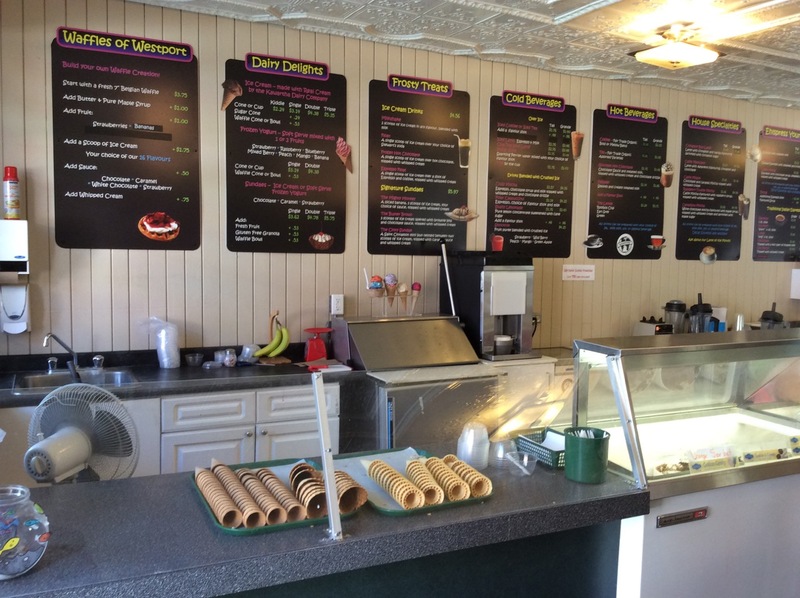 Well, what to do – ice cream or bakery? Easy – I went to the Paris Bakery and Laurie entered the wonderful envelope of aromas at Chocolate Sensations to get her ice cream. I must admit, the Paris Bakery was a bit disappointing in that it had no where to sit down, had mostly desserts and had only coffee (I could have used a cuppa tea at 4 o’clock in the afternoon). However, I surprised myself by ordering a Blueberry-Nut Bread Pudding which was in a large muffin case. I despise even the thought of bread pudding. While I love leftovers, I just don’t think of a dessert as leftover bread and eggs – that’s french toast! Well wasn’t I surprised by this – it was delicious. Laurie had a scoop of Key lime on top of Moose Tracks. The Key lime was much more limey than the Key lime pie ice cream from London Dairy at Broderick’s Ice Cream Parlour in Port Stanley earlier in the week. Anyway, we both walked away satisfied and strolled down to the Nith-Grand confluence. Being geo-geeks, we had to see it. It was rather underwhelming with a green Nith joining a very shallow Grand. The Nith valley is beautifully forested at the that point and with the careful removal of unsightly wires (via Lightroom), it would make for a beautiful autumn photograph. However, the river itself needs a good flushing! Soon we were on our way home having enjoyed downtown Paris in the summer.